"Chambers" will premiere on Netflix on April 26. Netflix released the trailer for their newest horror series, "Chambers," on Wednesday, and this haunting tale about a heart transplant will give you nightmares. The series follows Sasha (Sivan Alrya Rose), a heart attack survivor who underwent a heart transplant. As wonderful as this new lease on life is for the character, things slowly begin to take a dark turn. 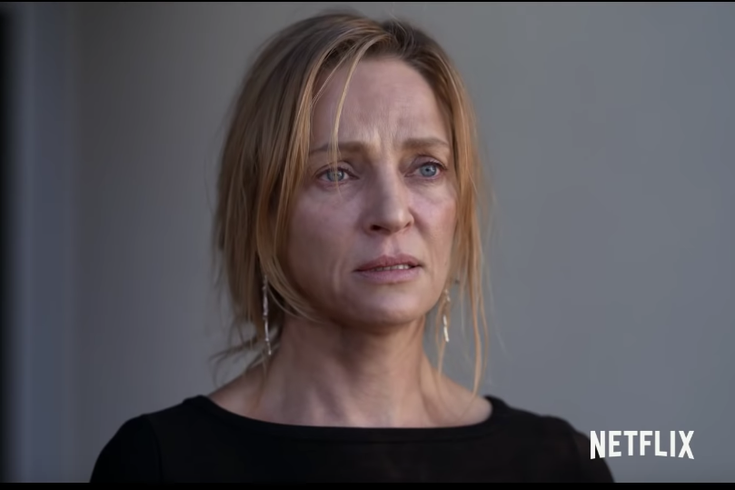 She notes, “It’s just so weird that someone had to die in order for me to live," before we see Sasha meeting her heart donor's parents, Nancy (Uma Thurman) and Ben Lefevre (Tony Goldwyn). Nancy and Ben decide to open a scholarship in their daughter's name, Becky, and give the initial scholarship to Sasha. There's a few eerie shots, including what appears to be blood coming out out of Nancy's hand, before someone then warns Sasha, "Watch out for that family." The series was created and written by Leah Rachel. She serves as executive producer alongside Alfonoso Gomez Rejon. "Chambers" will premiere on Netflix Friday, April 26.